The American Architecture Prize recognizes works of architecture, interior, and landscape design which stand out for their excellence, innovative and functional design. 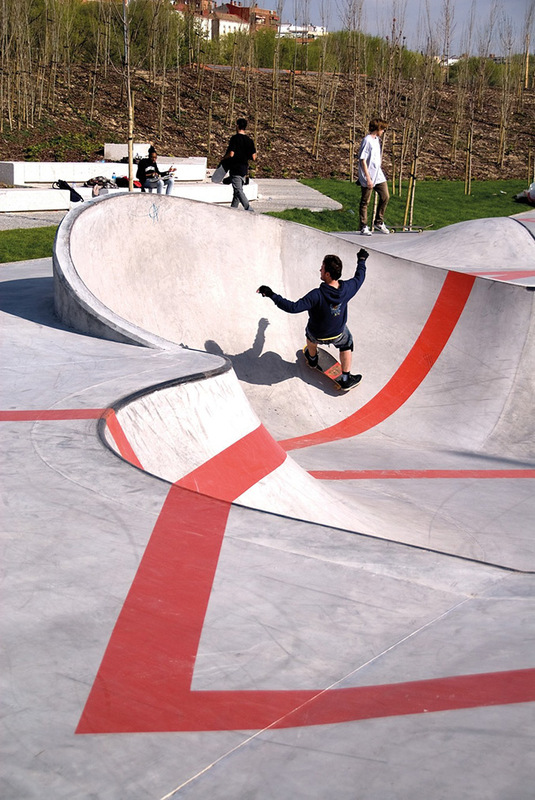 The award-winning projects are characterized for their positive contribution to the spaces we inhabit, for inspiring current users and lasting for future generations. 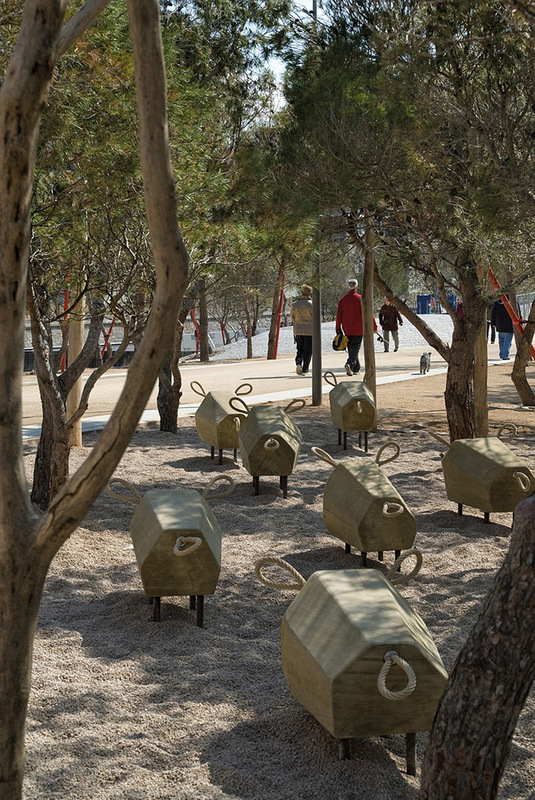 Such is the case of Madrid Rio, a complex intervention at the heart of the city of Madrid. 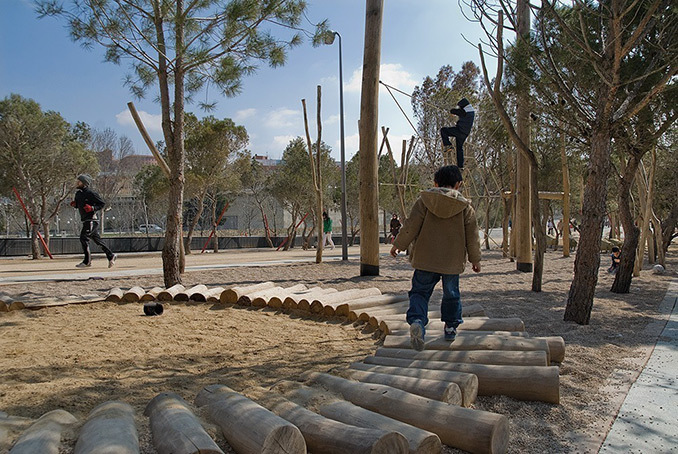 In 2003, Madrid Council decided to build a tunnel for a stretch of the main ring road [M30] around the city, which ran along the banks of the Manzanares River for 8 km. When constructed 30 years ago, this road caused the disappearance of the links between the city and its river, making the river isolated, inaccessible and invisible. As a result of the construction of these tunnels, an enormous space opened up in the heart of Madrid. 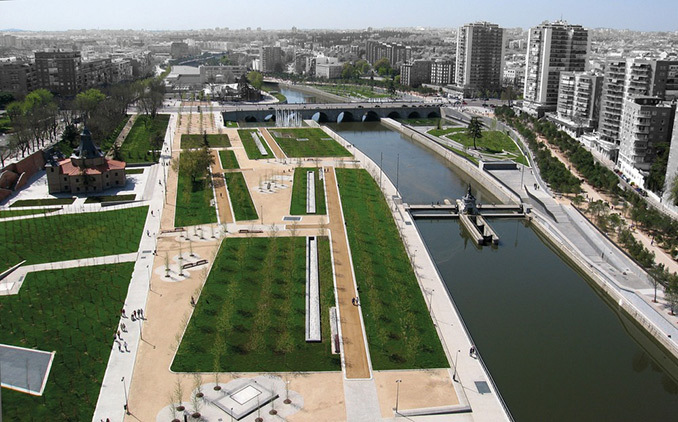 The Madrid Río (Madrid River) project is the result of winning the First Prize in the international competition which was entered by, among others, Eisenman/Field Operations, Herzog & de Meuron, Navarro Baldeweg, Dominique Perrault and SANAA. 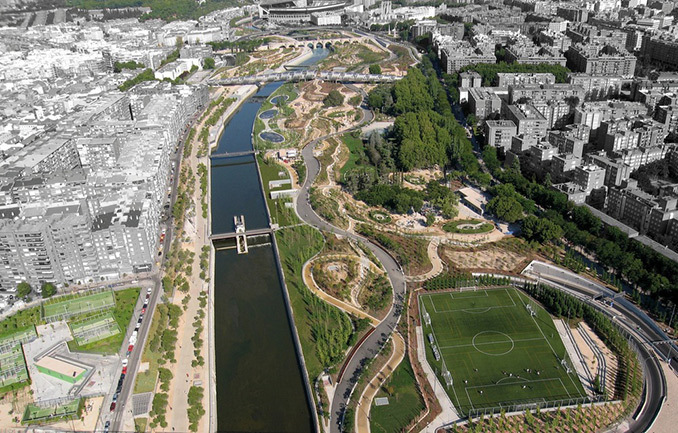 The project includes organizing the 8 km of the banks of the River Manzanares that pass through the city, the design of 150 Ha [370 acres] of parks, 12 bridges and 6 Ha [15 acres] of public and sports facilities, interpretation and art centers, an urban beach, children’s areas and cafés, and the restoration of the hydraulic architectural heritage. 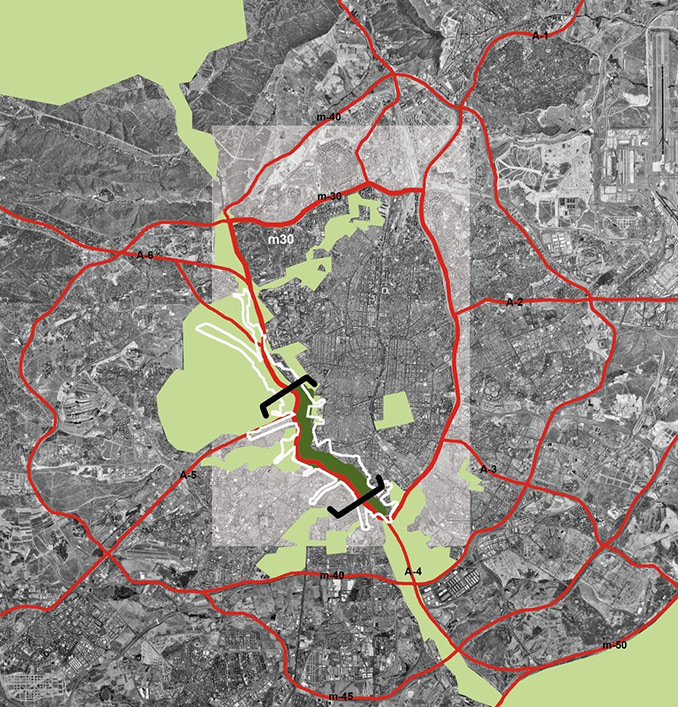 In addition, a master plan was drafted for an area of 880 Ha [2,173 acres] which will give a prominent role to public space in the districts closest to the river. 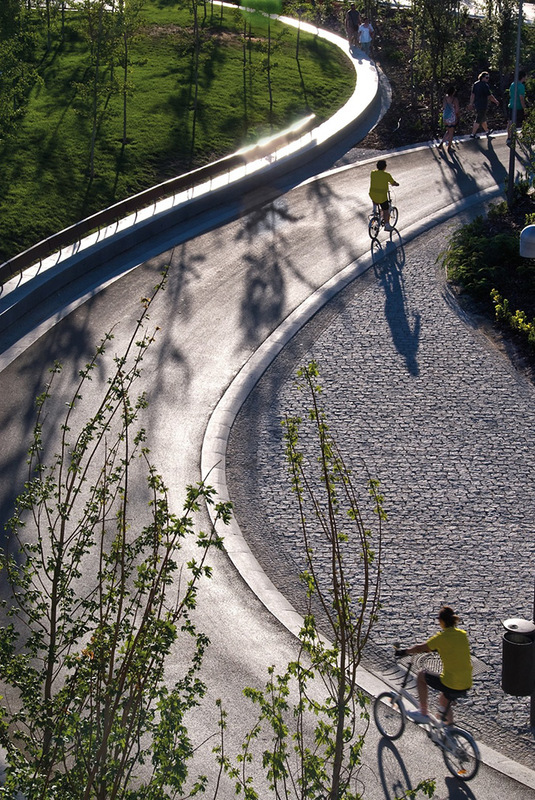 The complex work involved in building road tunnels provided the design team with an unprecedented opportunity to situate the city of Madrid within its surroundings. 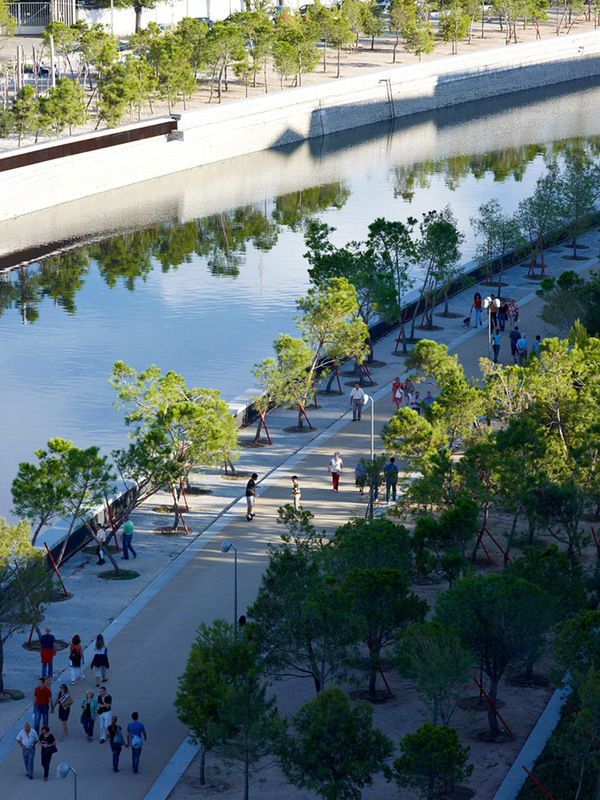 The project establishes a physical and conceptual continuity, which did not previously exist, between the city center and the valuable countryside that surrounds it, and as a result the Manzanares River has been transformed into the point that connects the city with its geography. 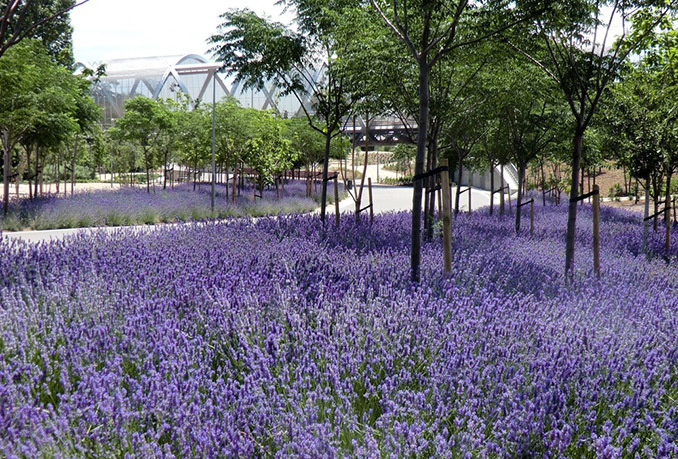 On top of this huge “underground construction“ vegetation was used as the main material, constructing a dense and ecologically rich plant structure to create an artificial and urban but living landscape on an inert underground substrate. Almost half of the project’s surface area is on top of the tunnels and the complicated technical facilities associated with these and large urban infrastructures. It is the most important project executed in Madrid over the last few decades and probably one of the most ambitious projects carried out in Europe in recent times. 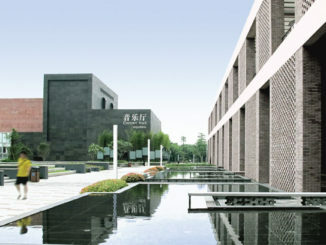 This is perhaps the first project following a new approach of integrating large infrastructures and the built fabric of cities with the natural environment that surrounds them, producing a place in which the landscape, the city, the architecture and the urban infrastructures combine to create greater environmental biodiversity and a city that is greener and more habitable and sustainable. The project was highly complex and to solve the issues it was vital to use solutions that almost reached the limit of what is technically possible. The team led by Ginés Garrido was comprised of four architecture offices and a dozen specialist engineers and consultants. 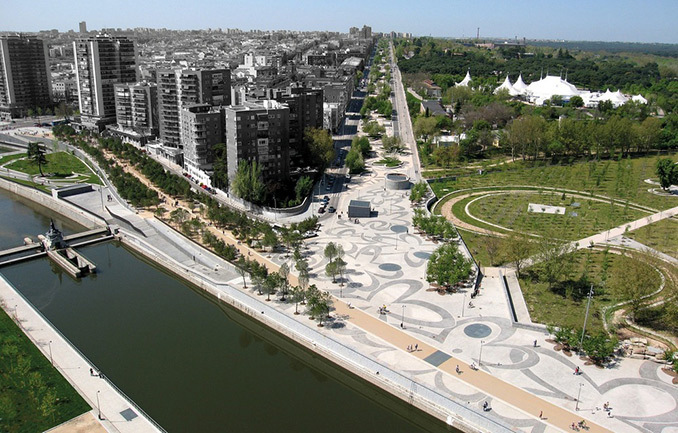 It was contracted to construct the Madrid Río project and to be solely responsible for managing all the architecture and landscape architecture designs and all the technical work required to complete the project.